A view of the location of the proposed Chimney Hollow dam and reservoir site in the foothills between Loveland and Longmont. 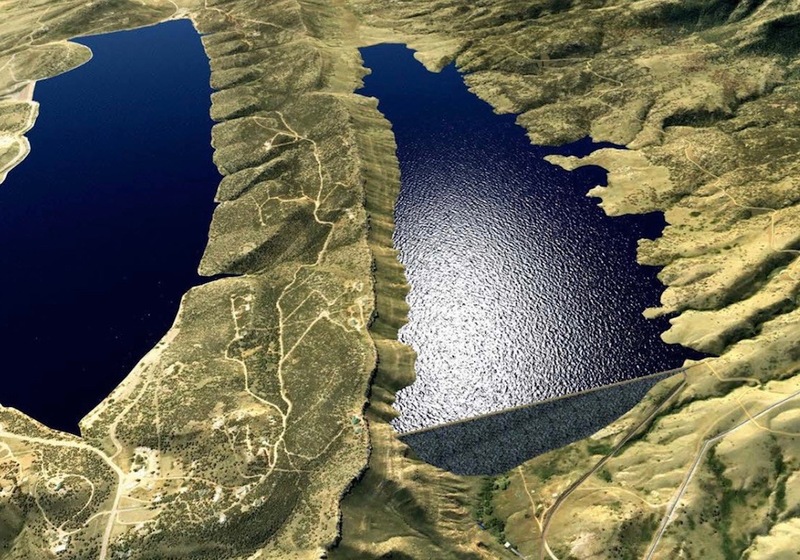 The 90,000 acre-foot reservoir would store water from the Colorado River basin for nine Front Range cities, two water districts and a utility, and is being held up a lawsuit challenging federal environmental reviews. BERTHOUD – The Front Range water district that wants to build the Chimney Hollow Reservoir and pull more water from the Colorado River is delaying construction bids and issuing revenue bonds, citing a lawsuit by Save the Colorado, the Sierra Club and other environmental groups challenging federal approvals for the project. The parties in the lawsuit are waiting for the judge in the case to rule on if the voluminous administrative record in the case is complete, including on a motion to add a recent report commissioned by Save the Colorado on actual water use, and if motions to intervene in the case by Northern, the Colorado Department of Natural Resources and the city of Broomfield will be accepted. Northern operates and maintains portions of the Colorado-Big Thompson Project, including Lake Granby, a reservoir that along with the Adams Tunnel sends over 200,000 acre-feet of water of Colorado River each year under Rocky Mountain National Park to the east slope. The overall project is owned by the federal government and the Bureau of Reclamation oversees elements of it, including the Adams Tunnel and Green Mountain Reservoir. Once the water is delivered from the federally owned facilities, Northern distributes the water to cities and agricultural users. Windy Gap Reservoir is a relatively small 445-acre-foot reservoir, built in the early 1980s to serve as a pumping forebay on the Colorado River just below its confluence with the Fraser River in Grand County. Editor’s note: Aspen Journalism is covering the Roaring Fork and Colorado River basins for The Aspen Times. The Times published this story on its website on Tuesday, Aug. 21, 2018, as did the Glenwood Springs Post Independent. The Greeley Tribune published an expanded version of the article on Aug. 25. This article has been clarified to better reflect the nuanced roles that Northern and the Bureau of Reclamation have in the C-BT Project.